Mr. Nihei’s house, which has been passed on from generation to generation in this land near the sea surrounded by the Teizan-bori Canal and Nanakita River, was badly damaged by the tsunami. The water was as high as the ceiling of the ground floor. Mr. Nihei took up floorboards one by one, numbered them on the back to put them in order later, and put them back in place after washing and drying them. He obtained doors and windows from neighbors. He thought that it was important to keep the land that had been handed down for generations and continue to live there at any cost. 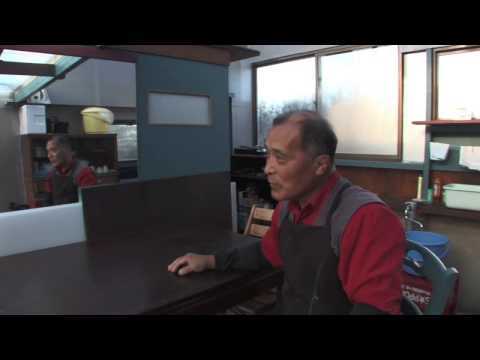 "Livable Home" is a series recording the reconstruction processes of homes, places, and lives affected by the tsunami.